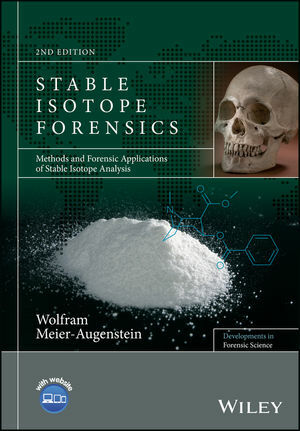 Wolfram Meier-Augenstein, PhD is Professor in Stable Isotope Forensics at the Robert Gordon University in Aberdeen, Scotland, UK. He is a registered expert advisor with the National Crime Agency (NCA, UK) and holds a Diplom-Chemiker degree, as well as a Doctorate in Bio-organic Chemistry, both awarded by the University of Heidelberg, Federal Republic of Germany. Dr. Meier-Augenstein has assisted police forces and coroners' offices around the world in murder enquiries and drug-related crime investigations.